InstaCasino was launched in 2015 and they have been serving casino players around the globe with the highest possible online gambling experience ever since. The quality of this casino derives from the team behind it; a group of experienced gambling enthusiasts with a clear mission to “provide the player with a great, fast, secure, friendly and unique customer experience”. With the combination of a great platform of the latest and most popular casino games and geat casino promotions aimed to suit all player types, InstaCasino is a prime destination for online casino players. InstaCasino offer an extensive catalogue of online casino games which are provided by games producers including NetEnt, Microgaming, BetSoft, NYX Gaming, Play ‘n Go, Scientific Games, Evolution Gaming, Quickspin and Reel54. This results in a wide range of different types of casino games. At InstaCasino you can play video slot machines, classic slots, table games, jackpot games, video poker and live dealer casino games. By joining InstaCasino you will gain access to a superior collection of online casino games which are also supported by mobile and tablet devices. InstaCasino is available in several languages including English, Finnish, German, Norwegian and Swedish. The customer service team is available 24/7 and you can contact them by e-mail or live chat. InstaCasino is owned and operated by MT SecureTrade Limited and licensed by the Malta Gaming Authority (MGA), the UK Gambling Commission and Curaçao eGaming. 30 No Deposit RealSpins for Norway – No Wager Required! InstaCasino offer 30 RealSpins on one of the following Netent slots: Starburst, Aloha, Twin Spin Deluxe, Finn and the swirly spin as soon as you complete your successful account registration. 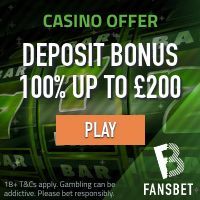 This No Deposit Free Spin offer is one of the best new player promotions in the online casino community for several reasons. First off; it’s 100% completely free, no deposit needed. Secondly, InstaCasino’s RealSpins are NOT subject to ANY WAGERING REQUIREMENT. This means that any winnings from your RealSpins are paid out in real money and added directly to your casino account. New players residing in the following countries are eligible for the 30 No Deposit RealSpins at InstaCasino: Norway ONLY. InstaCasino is a great place to enjoy some hot online casino action. And to make things even hotter than Hades, players residing in The minimum deposit is only £/$/€10. Players that claim this offer will also be able to enjoy one of the best bonus wagering requirements on the planet; if you claim this offer you only have to wager your bonus amount, x45. Players can mix their RealSpins on the following slots: Starburst or Twin Spin Deluxe! InstaCasino accepts all major payment methods including debit/credit cards, several regional direct bank transfer solutions and e-wallets like Moneybookers Skrill and Neteller. All transactions are processed in a safe environment, secured by the most reliable encryption technology. InstaCasino house an impressive number on casino games. You will not have any problems at all to find the very best slots from NetEnt, Microgaming, BetSoft, Play n’ Go, Nyx Gaming, Quickspin, Scientific Games and Reel54. Some of the most popular video slots at InstaCasino are Fire Joker, Guns n’ Roses, DJ Wild, Aloha Cluster Pays, Thunderstruck 2, Cloud Quest, Koi Princess, Bloopers and Jimi Hendrix.